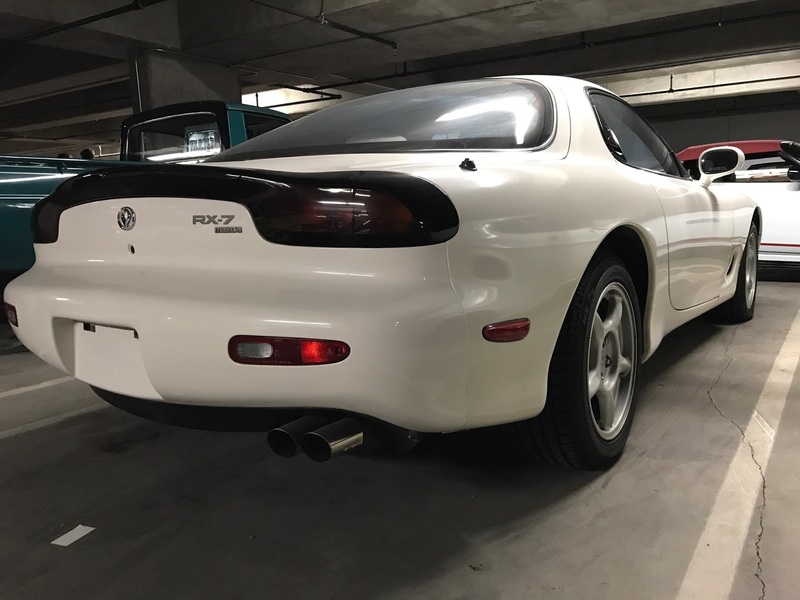 The BEST day ever! 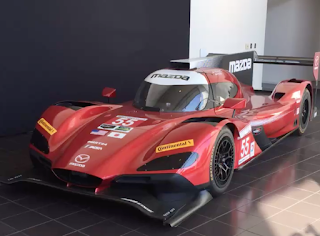 We visit Mazda North America HQ. August 3. 2017 started off like any other day. 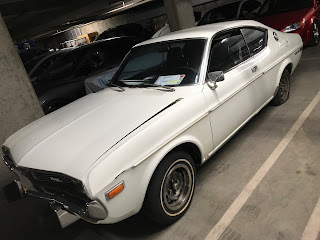 Coffee, shower, small talk about the day with the misses, and a lengthy vehicle ridden commute to the Huntquarters to conduct business for a few hours. I did all those things with excellence, like the grizzled veteran that I am. 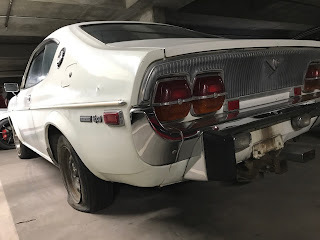 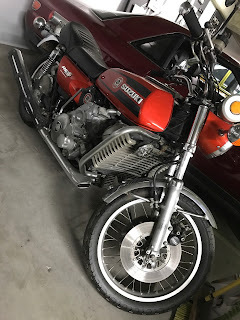 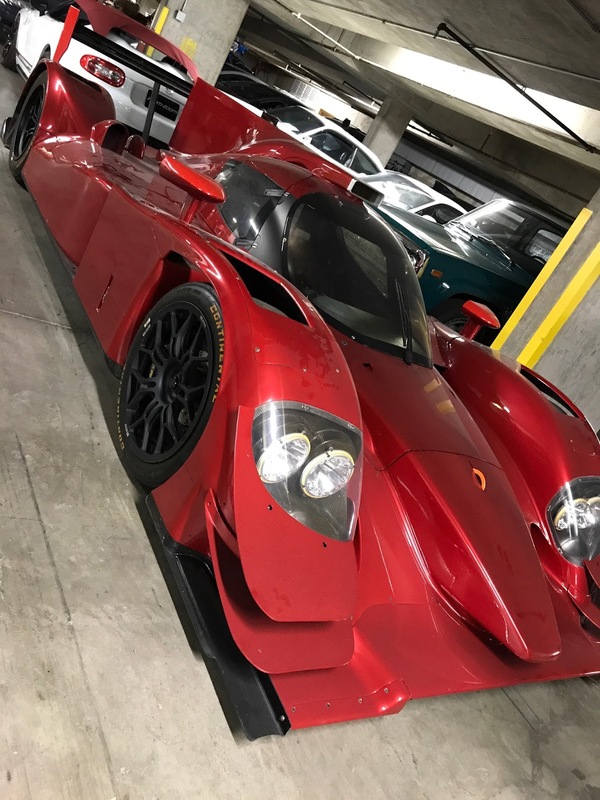 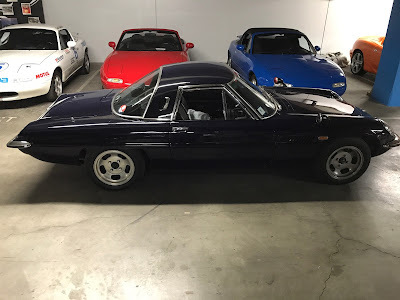 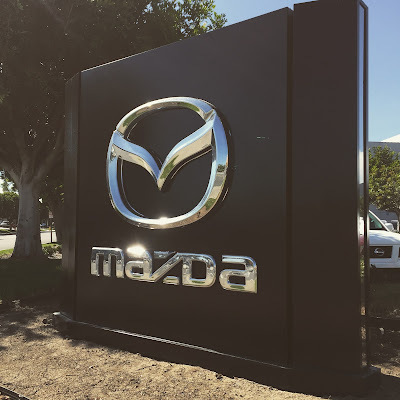 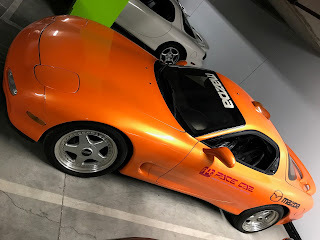 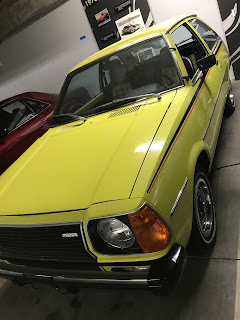 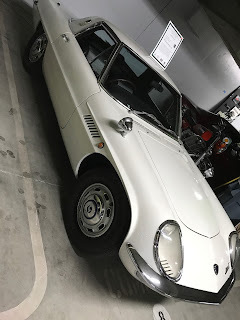 However, on this seemingly average day I had been invited by one of my dearest friends, Nick Fousekis to cut out of the office early and head north and hour from San Diego to Irvine, California and visit the Mazda North American Headquarters. 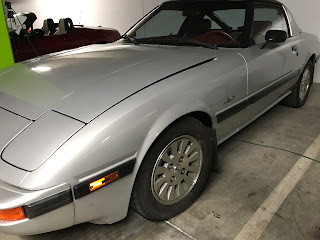 If you are not familiar with me or my past, I am a large Japanese car fanatic. 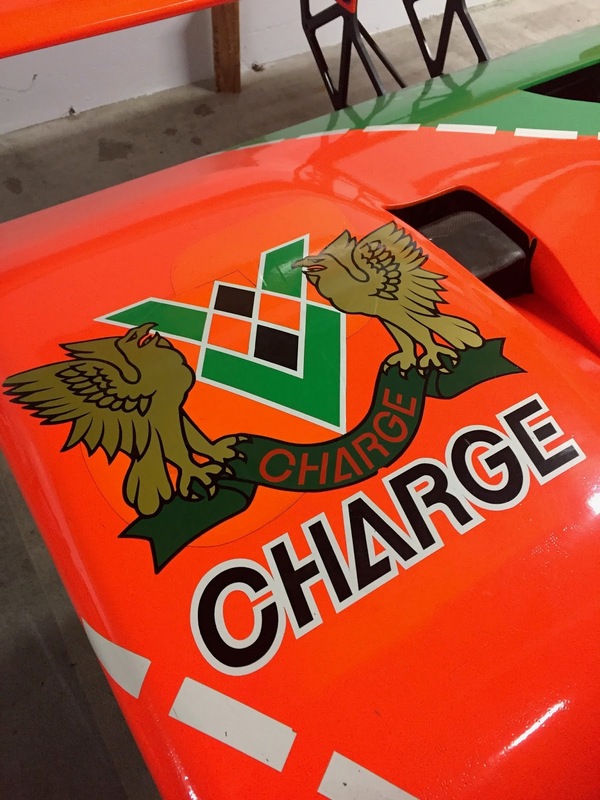 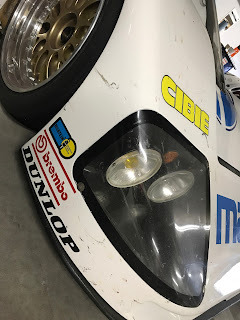 I don't have a favorite mark, but as I age - I'm 40 now - the vintage stuff and race cars really raise my brow. 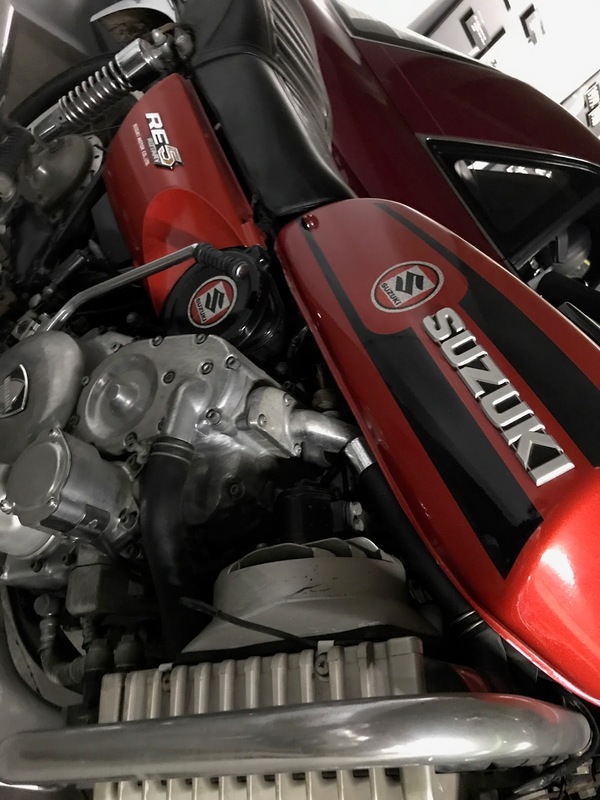 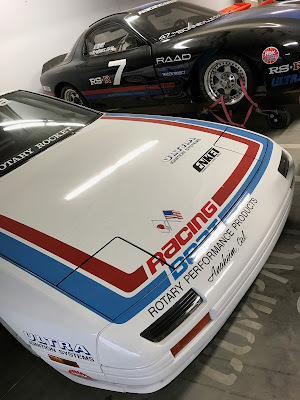 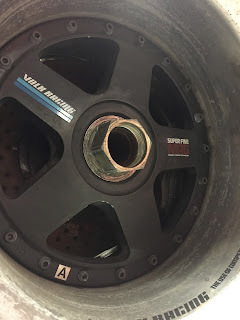 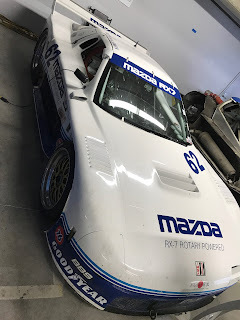 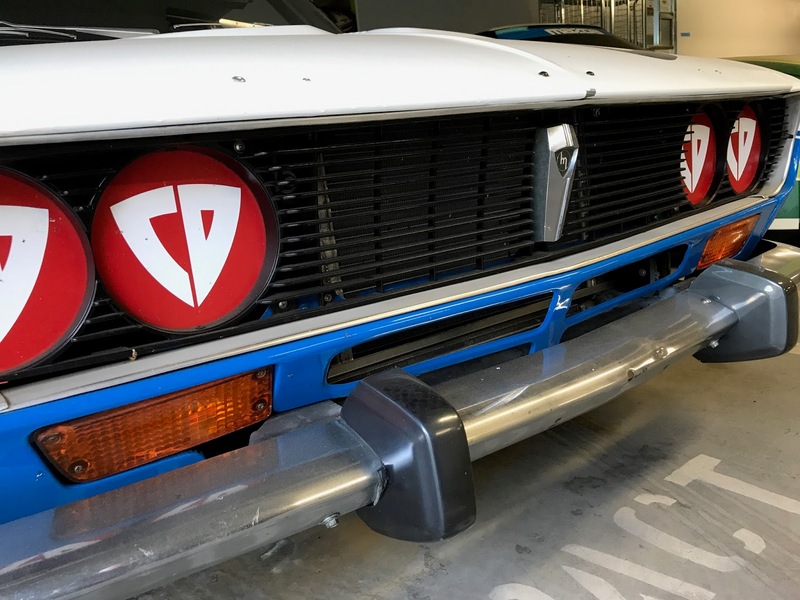 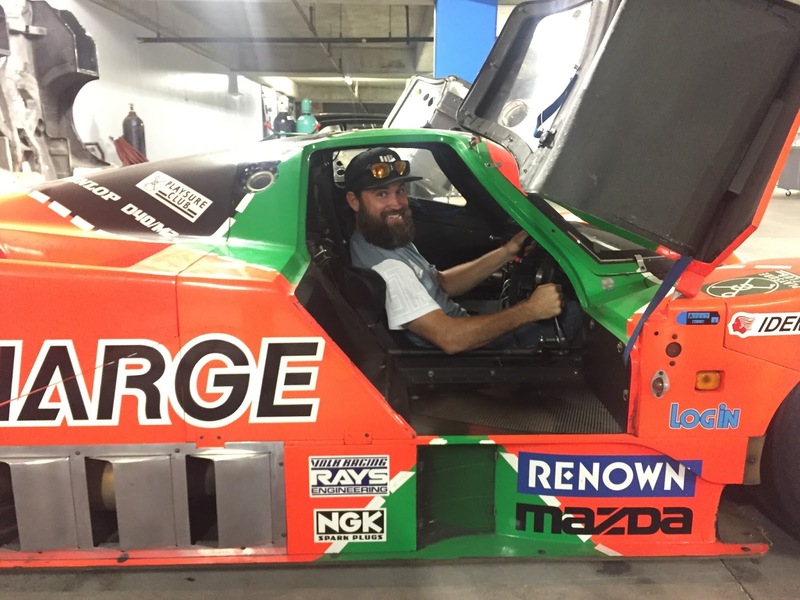 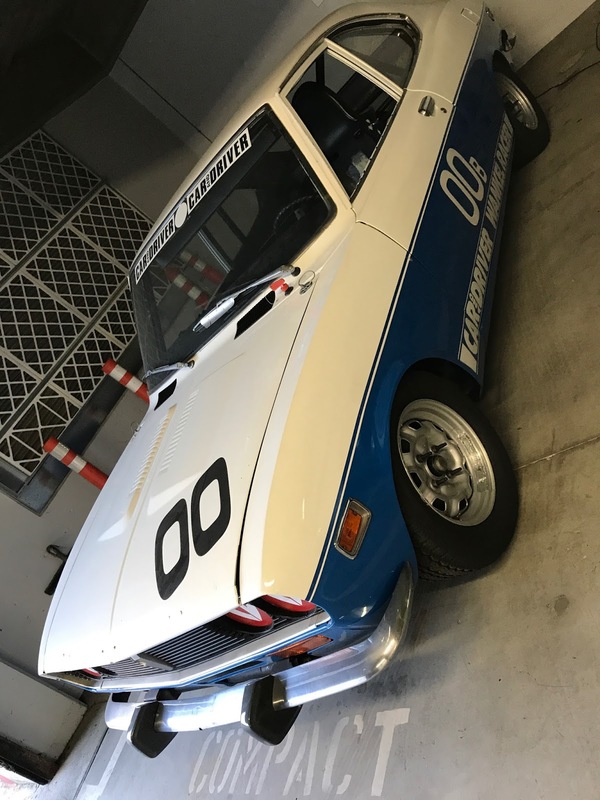 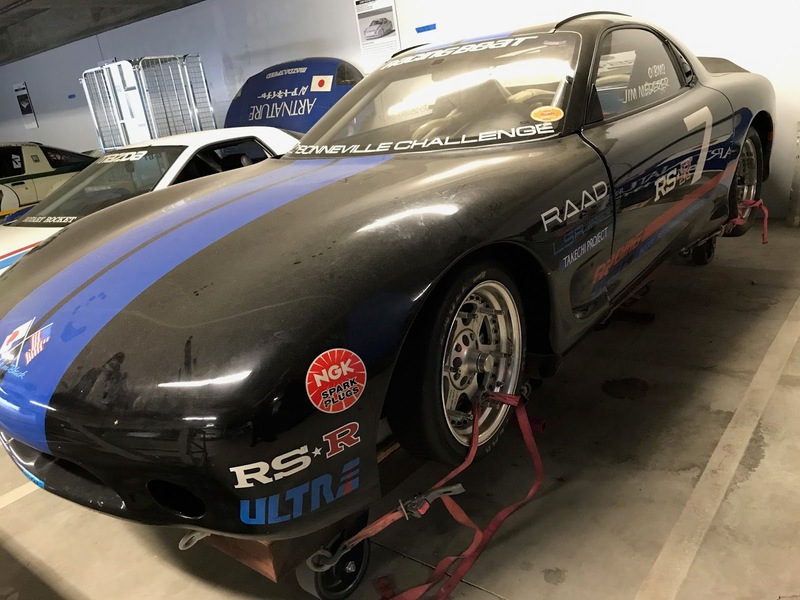 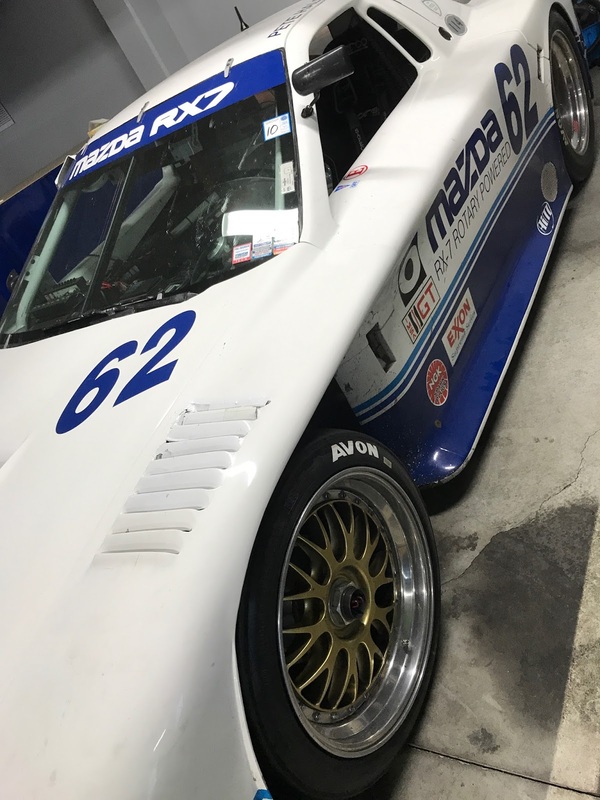 Paired with the fact that I have spent the better part of the last three race seasons working for Mad Mike Whiddett in the Formula D series on his Quad Rotor Twin Turbo #Radbul Mazda MX-5, I have become quite fond of the rotary engine and Mazdas in general. The whole way driving there I wondered what it was we were going to be doing? 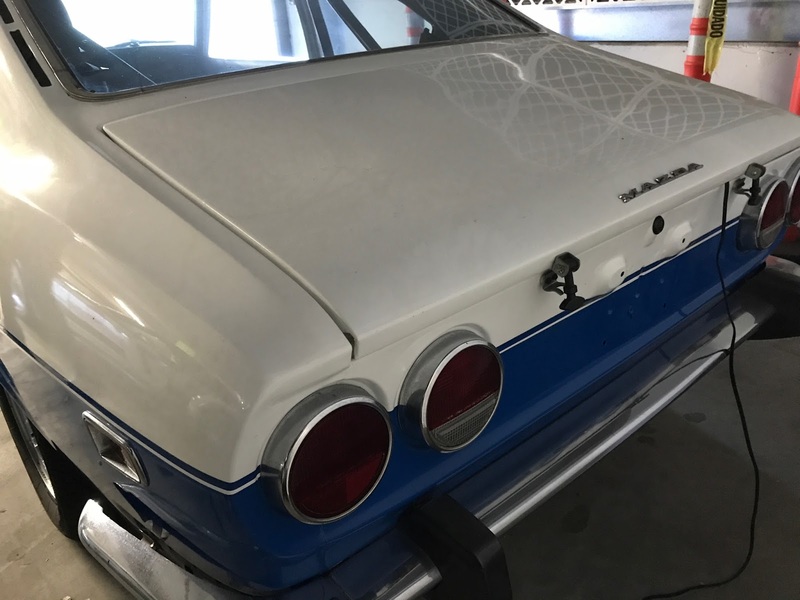 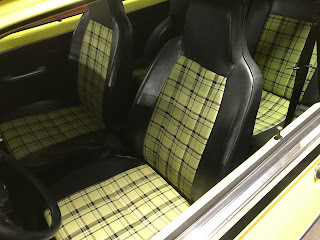 Were we going to get a sneak peek at a new model? 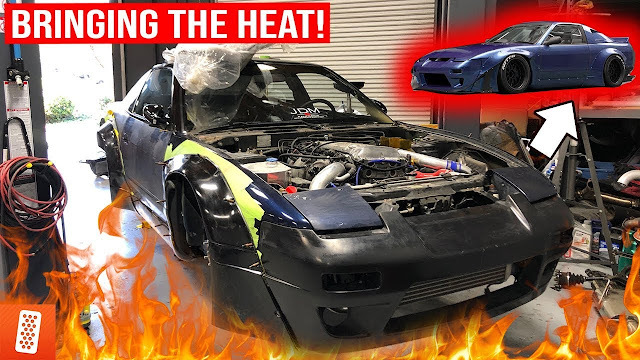 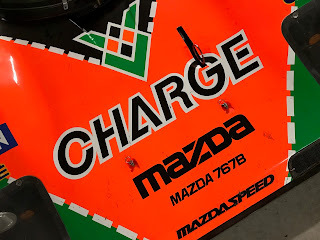 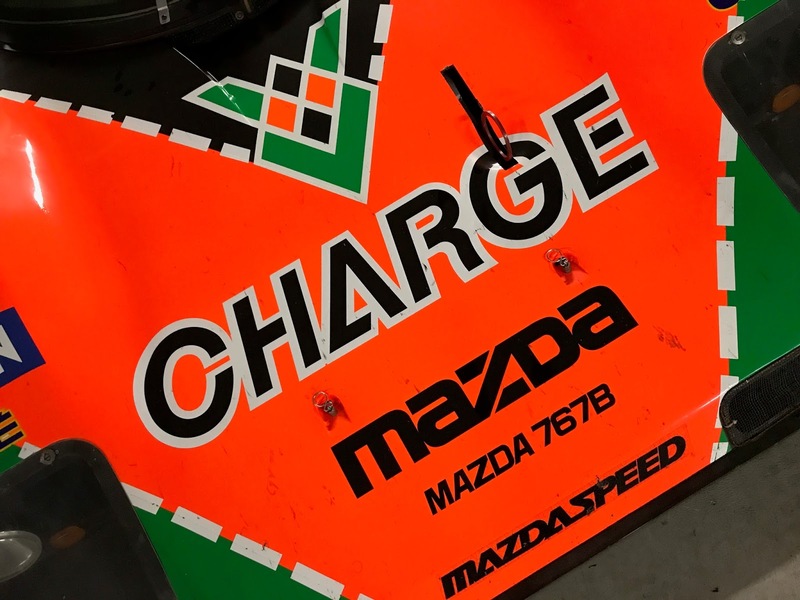 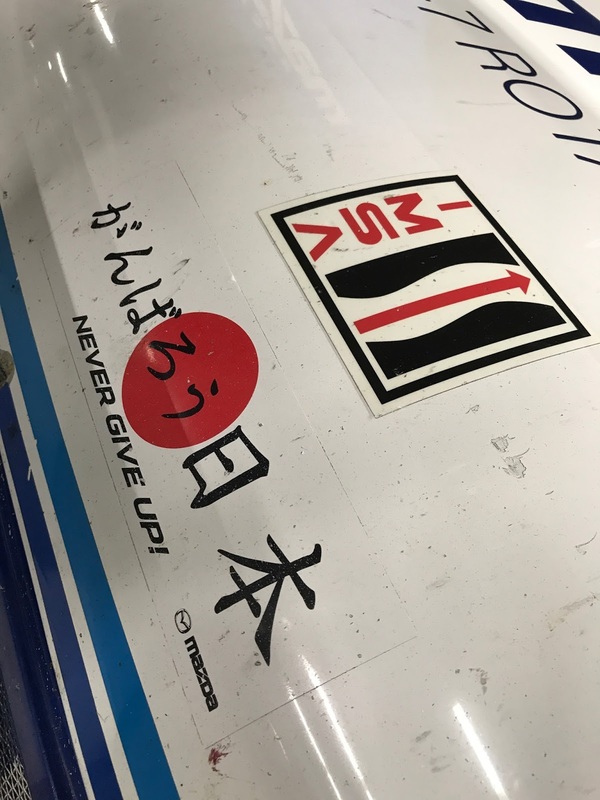 Maybe some top secret information that Mazda secretly wanted to go viral? Who knew!? 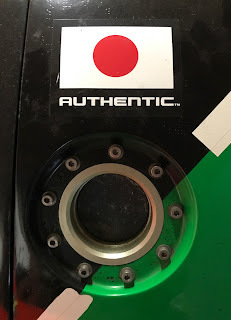 Not me. 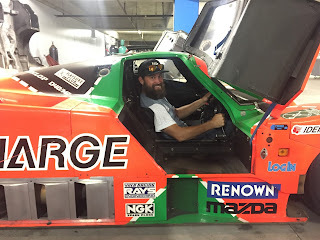 All I knew was that we were going to see the "R&D basement" per Nick's text a week earlier. 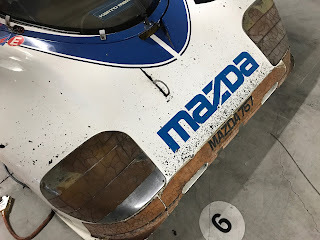 In typical Mickey fashion, I left way too early and was the first to arrive on site at Mazda HQ. 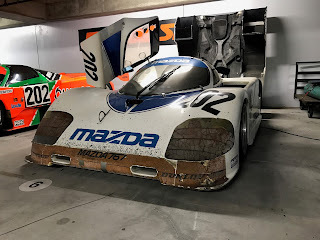 Being very interested in these hallowed grounds, I decided I should have a drive around the parking lot to see what Mazda employees drove or maybe a test mule that hadn't been seen yet. 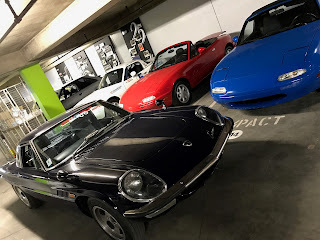 After a slow lap of the facility I noticed Mazda employees love the MX-5 Miata, especially the new hardtop RF version. And I did see a Mazda BT-50 pick up truck which peaked my interest as a small truck owner myself and these aren't currently avaialble in the States. 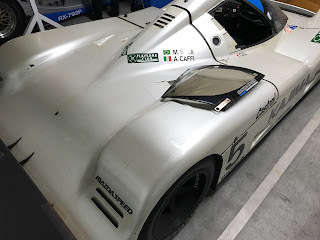 But, all in all, nothing else out of the ordinary. So, I parked my truck and waited for Nick to arrive. 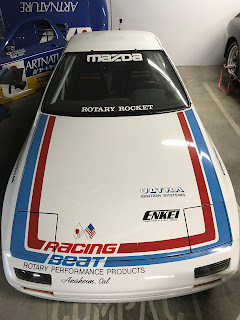 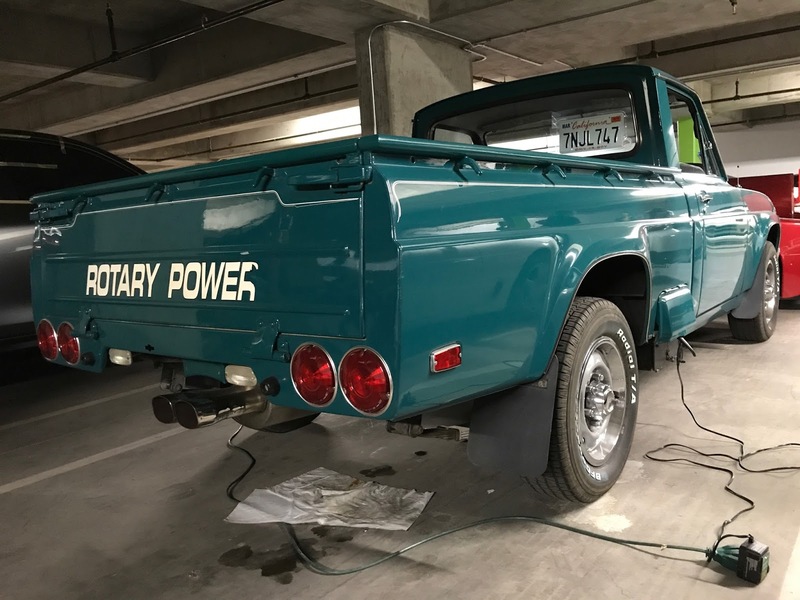 A few minutes later (seemed like an eternity) I heard the brap, brap, brap of a nicely ported street 13b rotary engine. Low an behold Nick had drove his newly built FD3S RX-7. What a beauty (pictured above)! 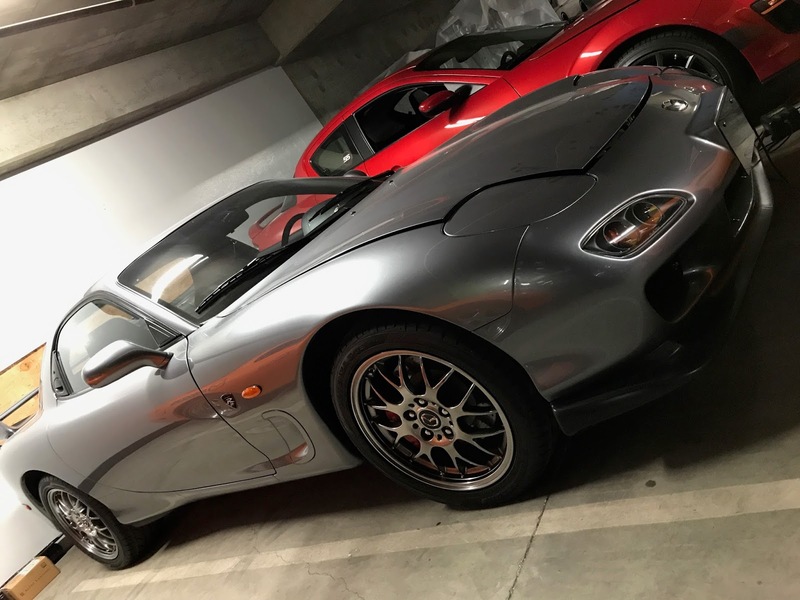 So, I greet Nick and we begin catching up. 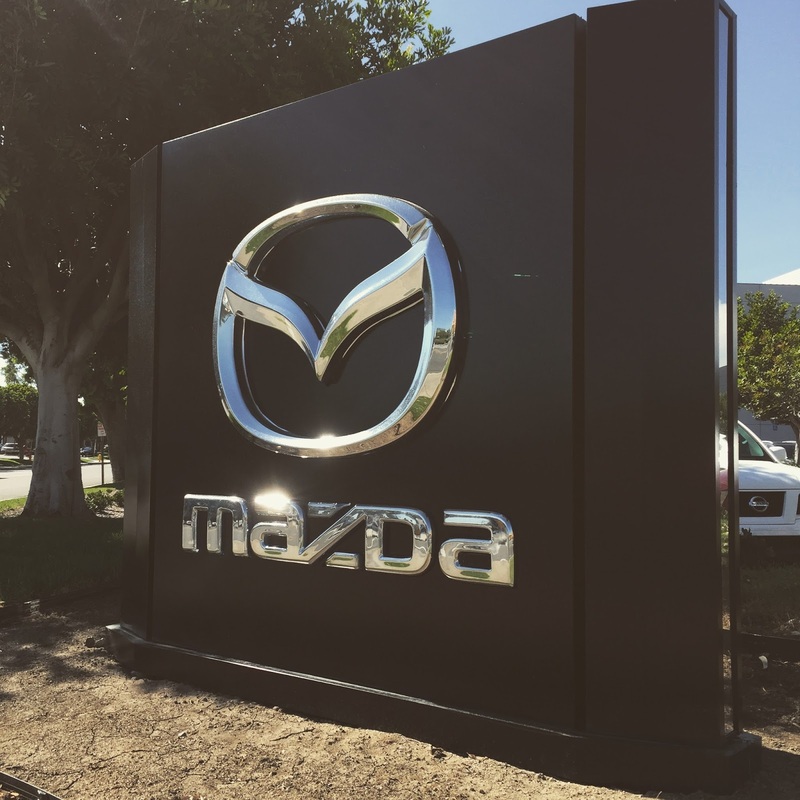 Before we could settle into a convo, Dean from Mazda walked out and greeted us. 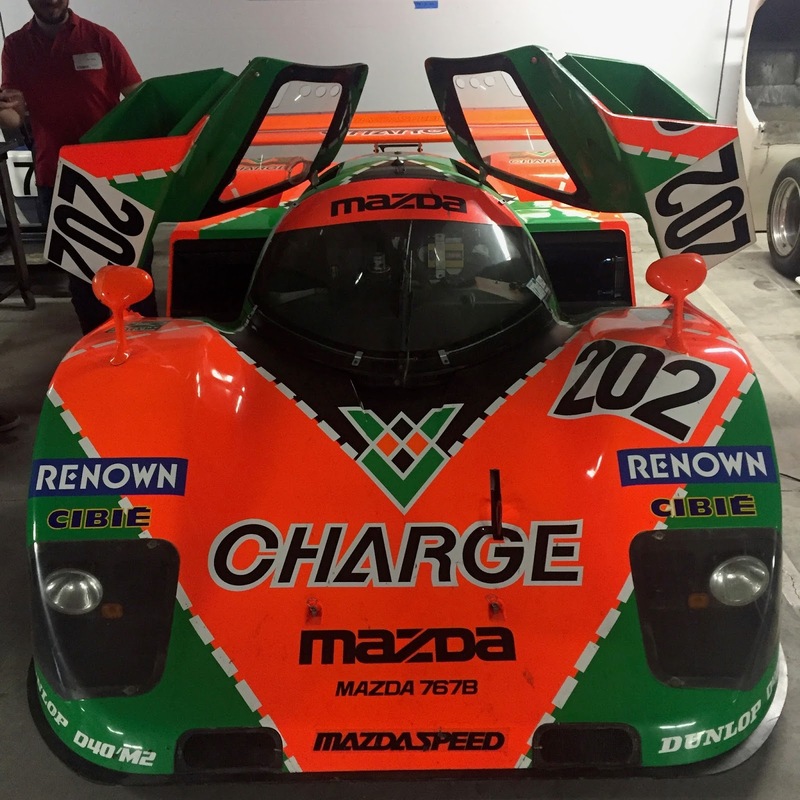 We were escorted into the lobby, signed waivers and were given name badges so that we were officially "official". 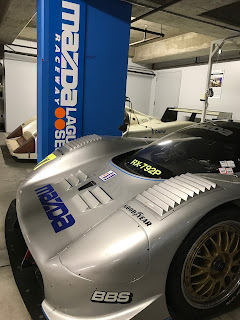 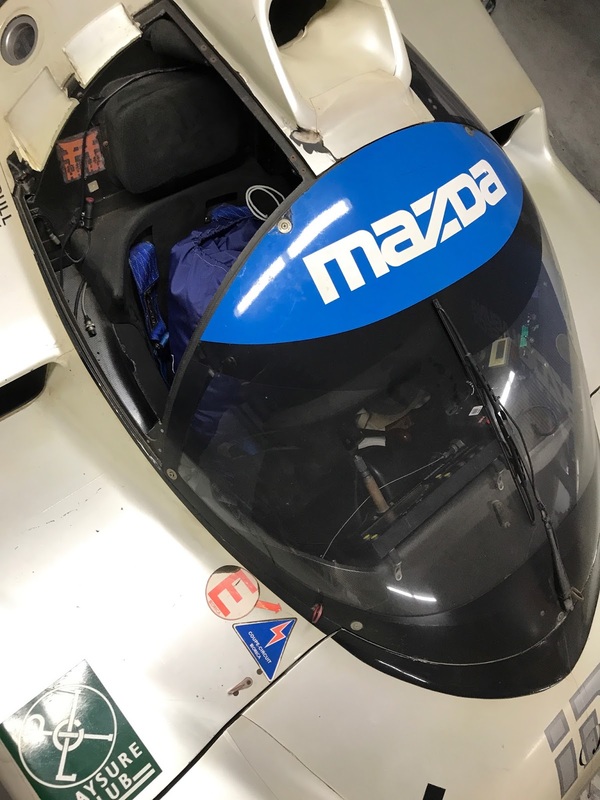 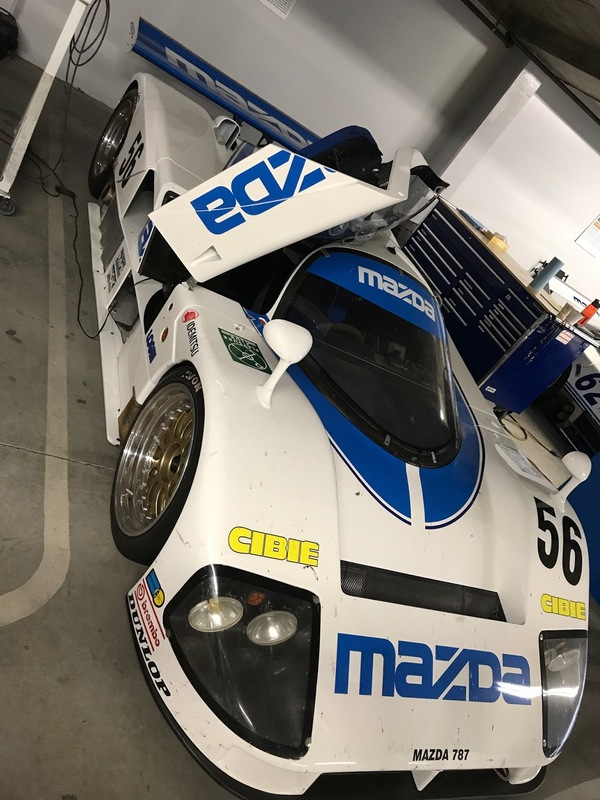 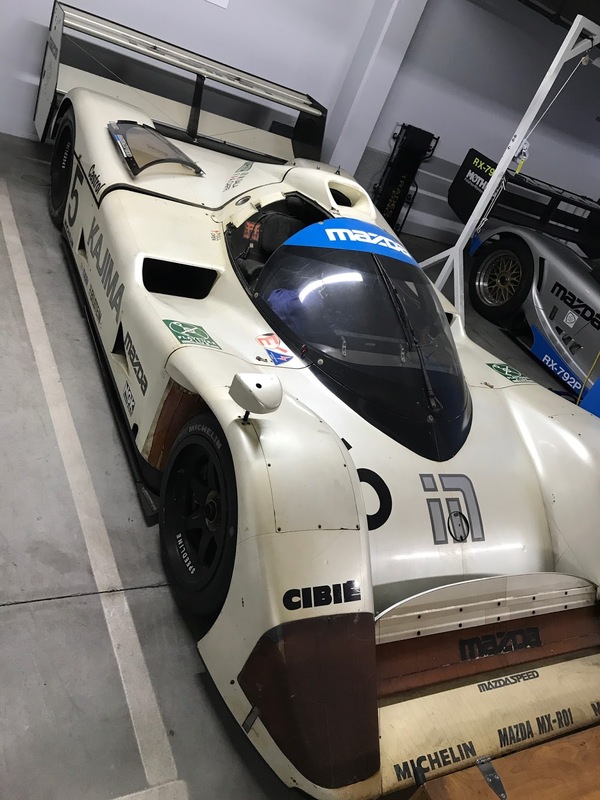 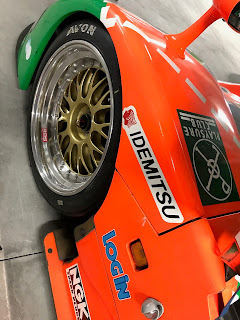 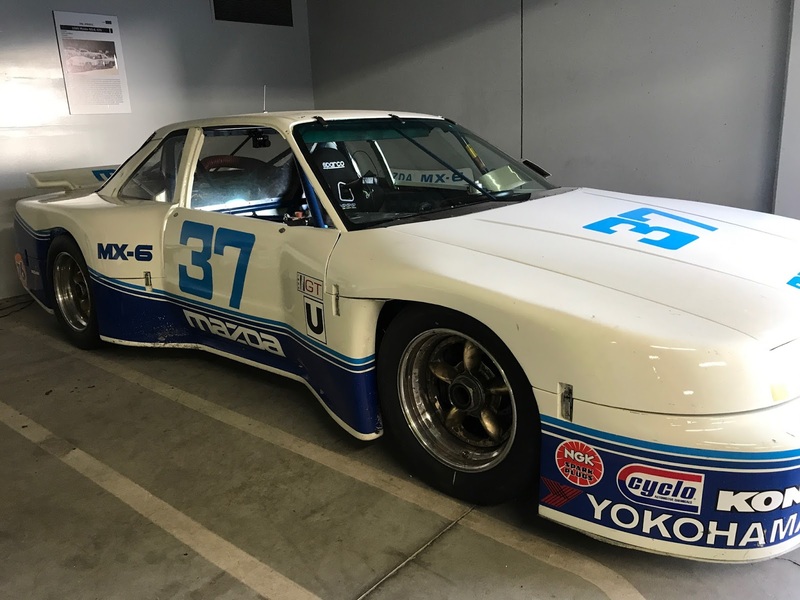 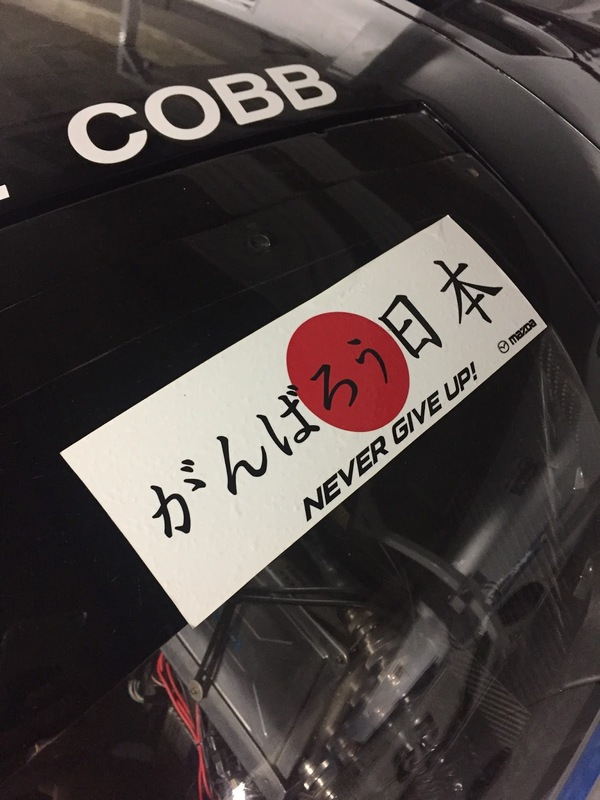 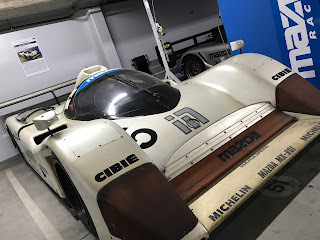 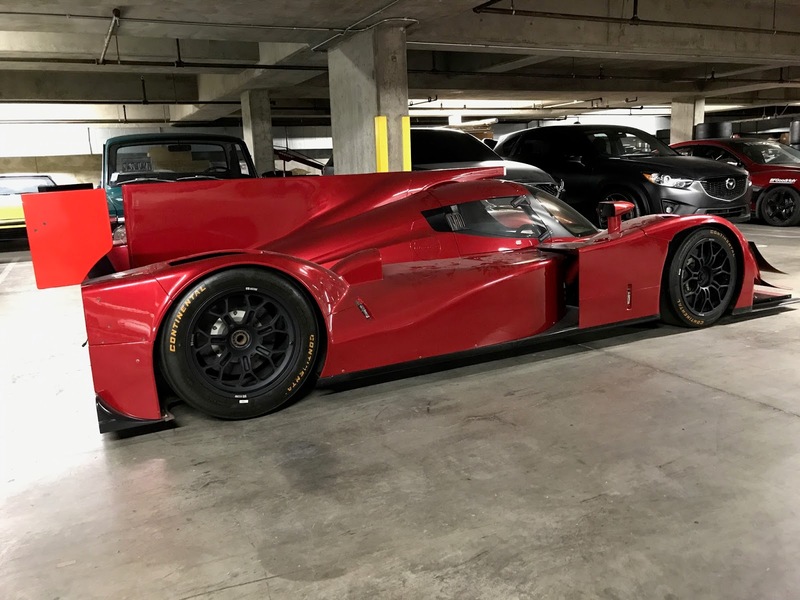 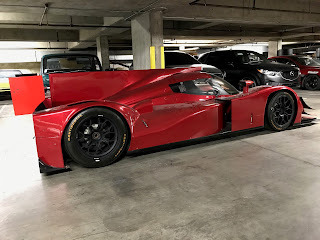 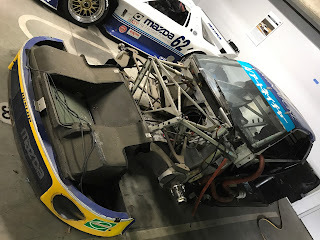 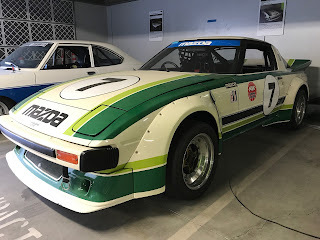 As it turned out the private tour is something Mazda has started doing more of lately to share their collection and information with industry individuals, media outlets and influential folks. 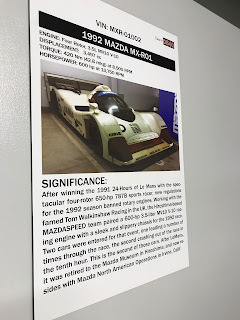 So, we hung out in the lobby for a few more minutes waiting on the others and checked out the wares they had on display in the lobby. 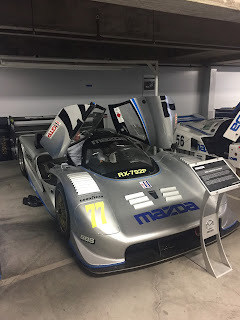 Now that the group of ten was gathered, our guide Dean led us on a walk around the facility where we entered a very Batcave'esque folding door that led underneath the facility. When the door opened so did my jaw. 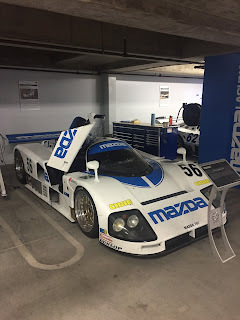 I was quite literally speechless at the sights behind the roll up. 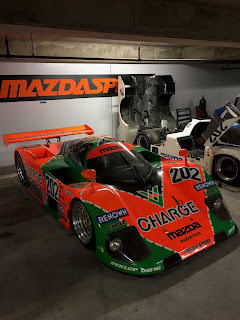 As you entered the area the old parking garage spaces were lined with Mazda historic race machines. 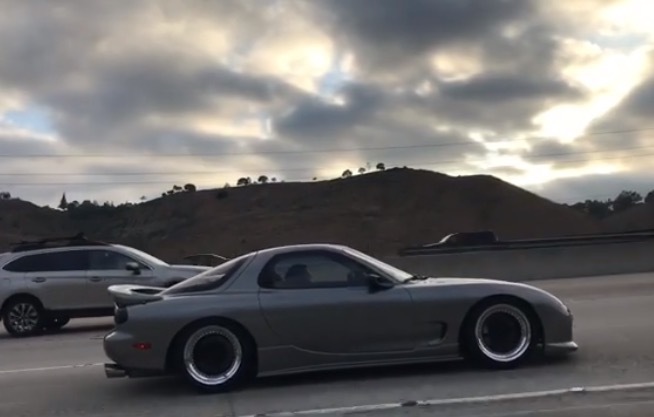 I mean cars I've only ever seen in magazines and videos. 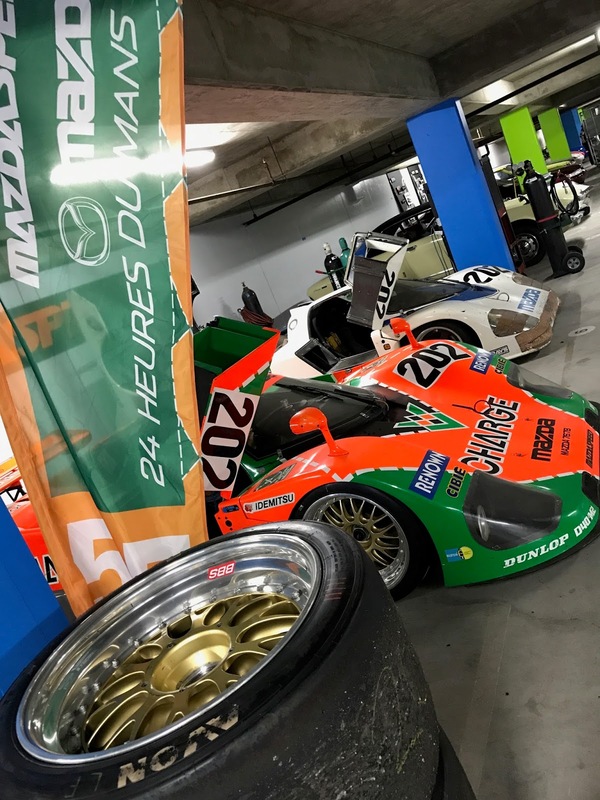 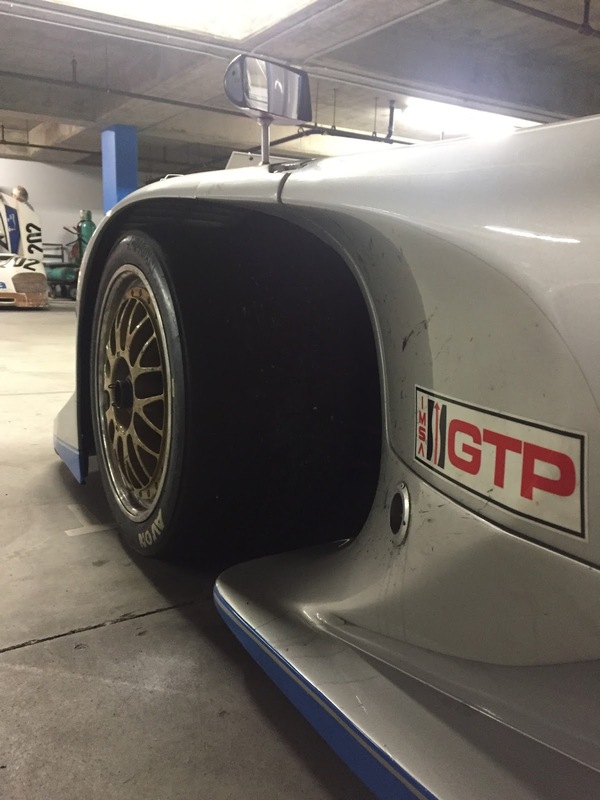 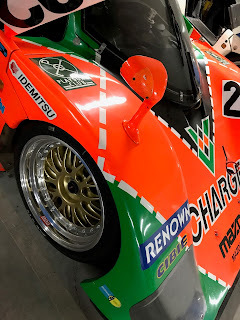 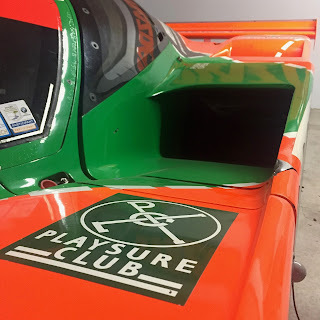 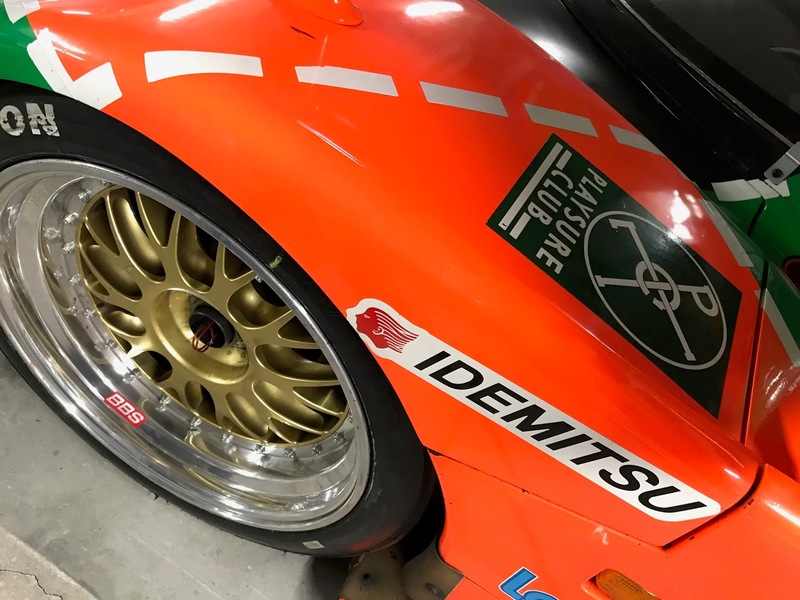 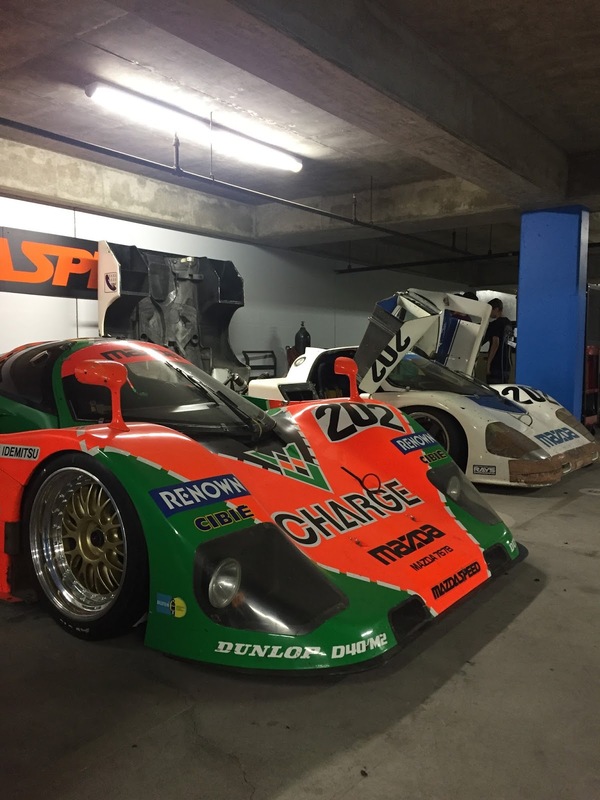 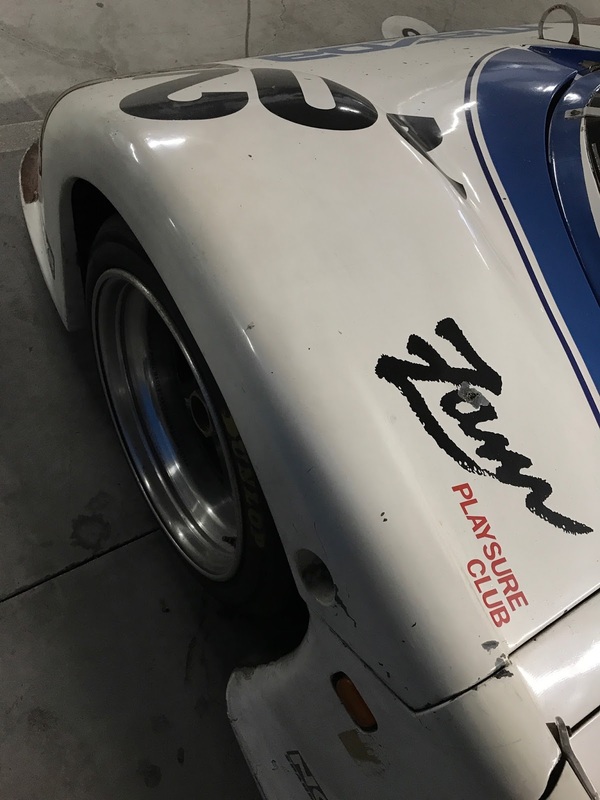 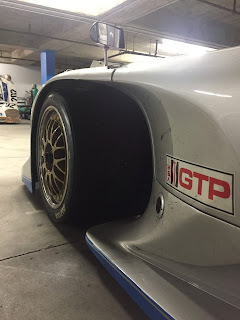 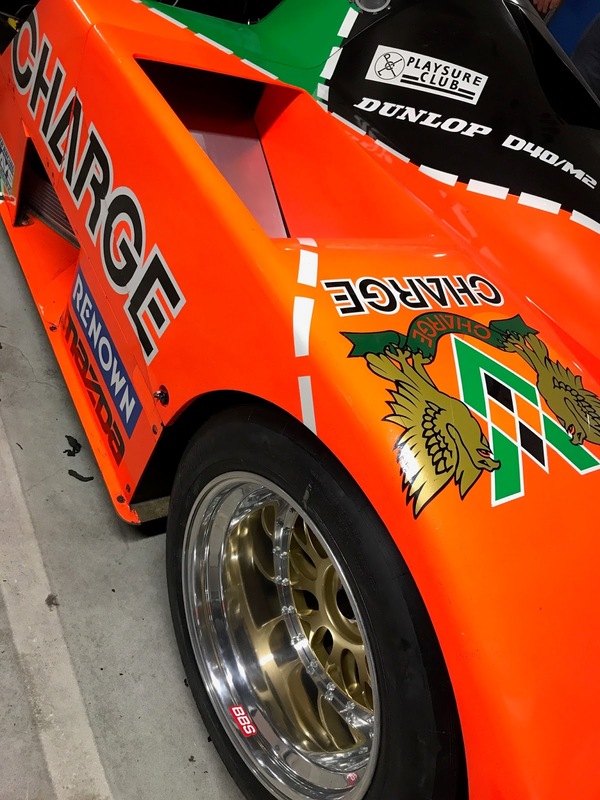 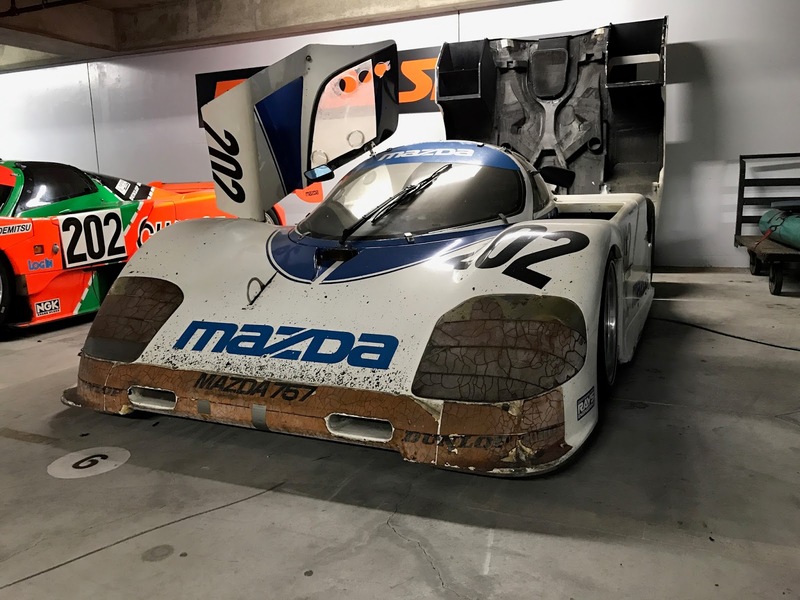 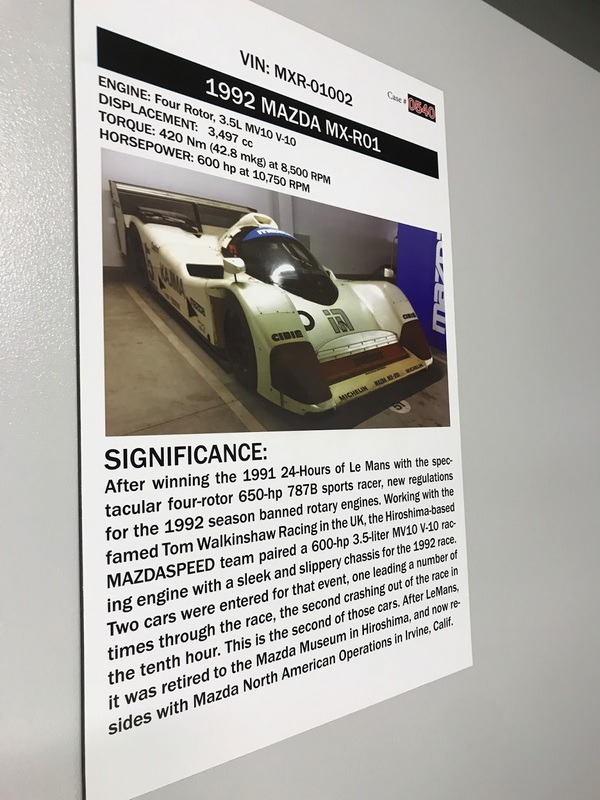 From Landspeed, JGTC, LeMans and even club racing the Mazda "museum" had it covered. 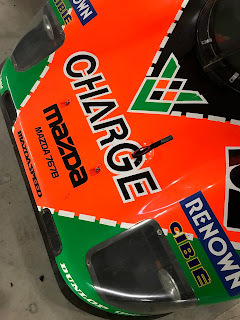 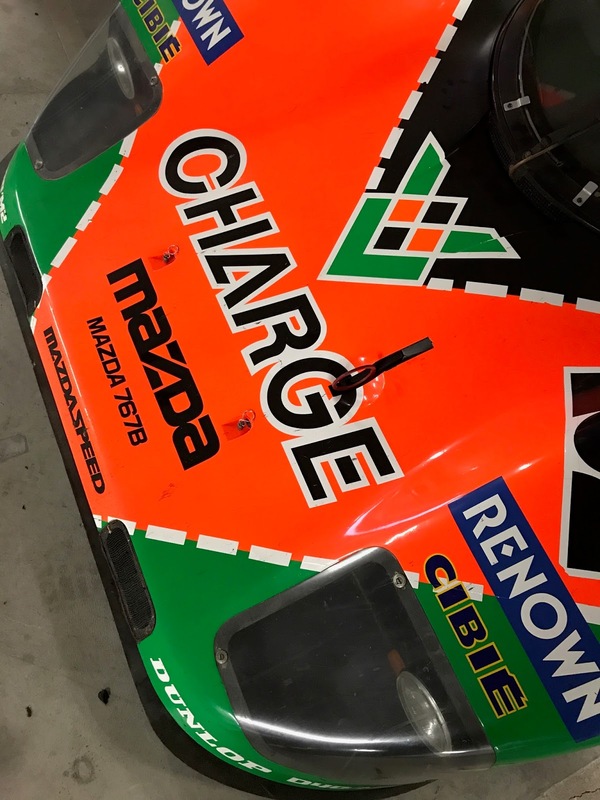 Looking around the room made me realize that Mazda has really invested a lot of marketing budget in motorsports over the years. 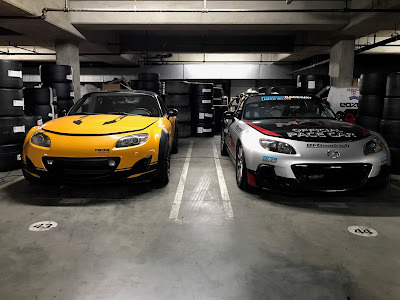 Even more than I realized. 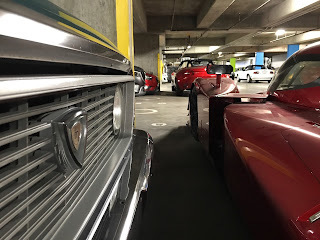 Seeing all these vehicles under one was was astonishing and not much I can write here will actually give you the sense of seeing it in person. But, I'm trying! 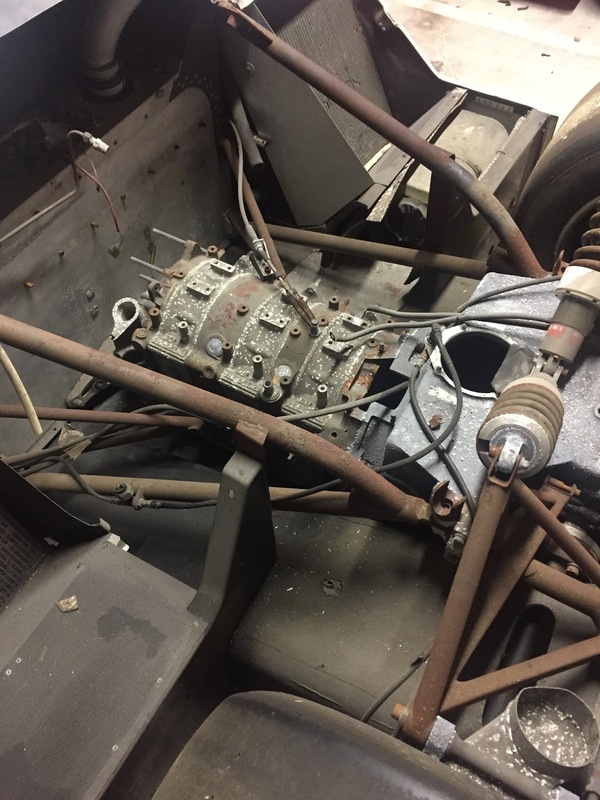 As I walked deeper into the cavernous garage the race cars thinned out and the SEMA projects and collectible vintage cars begin. 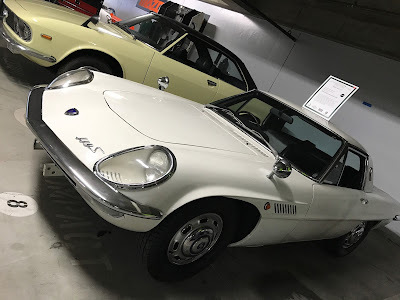 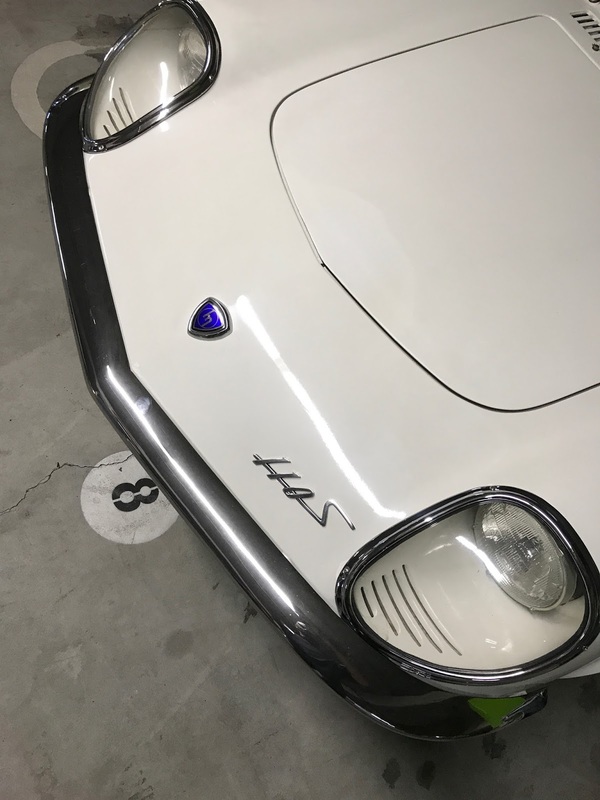 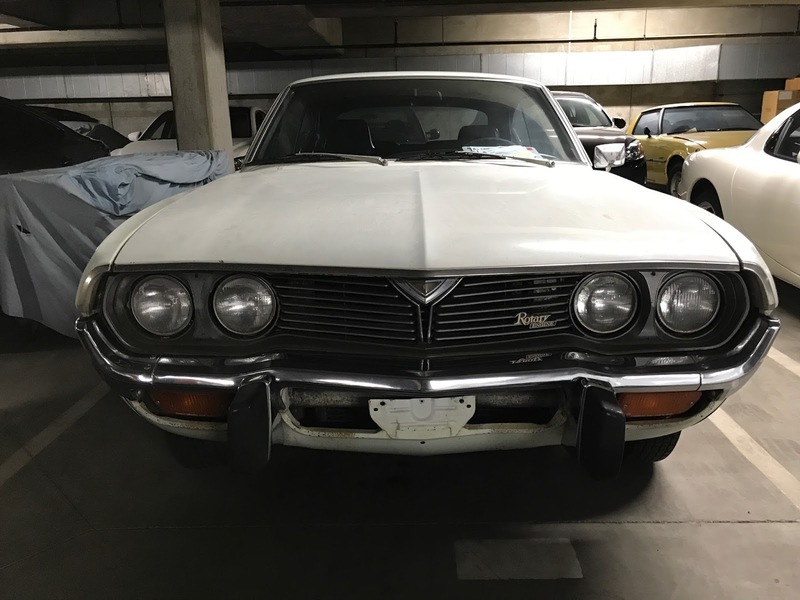 I was particularly interested in the MX-5 Miata and FD3S collection as well as the Rotary Engine Pick Up truck (REPU) and RX's. Each had a unique story and I wish I could remember all of it to relay to you, but my memory is garbage and quite frankly I was only half listening as I was in awe of the stupendous 767B the whole time. 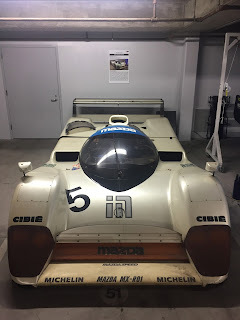 That said, I will do a photo dump below to show you the rest of what was housed there. I even got to sit in the 767B #202!!!! 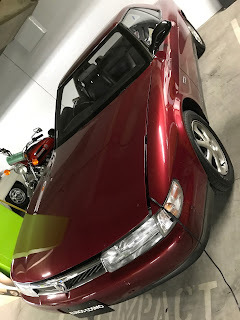 Take a look and leave a comment if you have questions. I will respond.